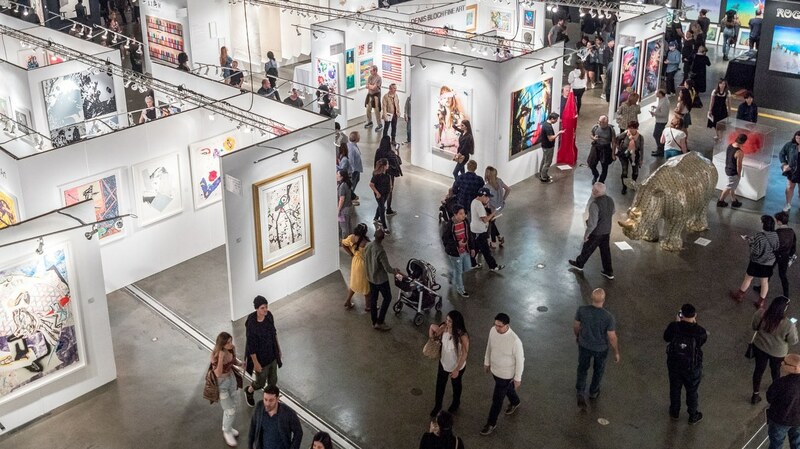 Between now and mid-March, LA and Palm Springs are playing host to at least seven art fairs or temporary art events, and they are timed to attract some of the same people who will be dropping by the Grammys and Oscars. But does LA have the buyers for all this art? Some art world cognoscenti say that while LA is home to plenty of rich collectors, they do their buying elsewhere, in London, Paris, Miami, Basel, Hong Kong and New York. Times are changing, says Vankin. She explains that while “it's true that the collector base hasn't been what it is in other cities” and L.A. has been “known as a city for art production” but not purchasing, that's now changing. L.A. Art Show 2019. Photo courtesy of Birdman. Meanwhile, the growing museum scene is also bringing on some changes -- in location (MOCA has closed its West Hollywood site at the Pacific Design Center; LACMA is looking ahead to its transition at the Wilshire campus) and in name (CAFAM has become Craft Contemporary). DnA reached out to Vankin for help in getting up to speed on a packed calendar of art fairs and how they mesh with Tinseltown. We also asked her explain to us some of the changes underway at some of our biggest museums. 70,000 people attended this four-day art fair. “It kicks off art season and it's definitely the broadest and the most mainstream and the most accessible of the art fairs,” says Vankin. Classic and contemporary photography from dealers worldwide. Site-specific art biennale on its second outing in the Coachella Valley. Free and open to all. Artists include Sterling Ruby, Jenny Holzer, Nancy Baker Cahill, Armando Lerma and many others. Hear more about Desert X on next week’s DnA. Frieze LA is “the biggie,” says Vankin. Frieze -- invite-only to galleries and around $50 a ticket for timed visits -- “began about a decade and a half ago as an art magazine and then it grew into a conglomerate of art fairs. It's going to open on the Paramount lot with about 70 galleries, a third of them from L.A. Not only is Frieze on the fake New York set on the Paramount backlot which is so Hollywood… it’s strategically timed between the Grammys and the Oscars. Frieze is partly owned by Endeavor [helmed by talent agent Ari Emanuel] and I think they want to tap into their resources for programming but also to just tap interest in the Hollywood collecting community and the greater collecting community.” Hear more about Frieze on next week’s DnA. 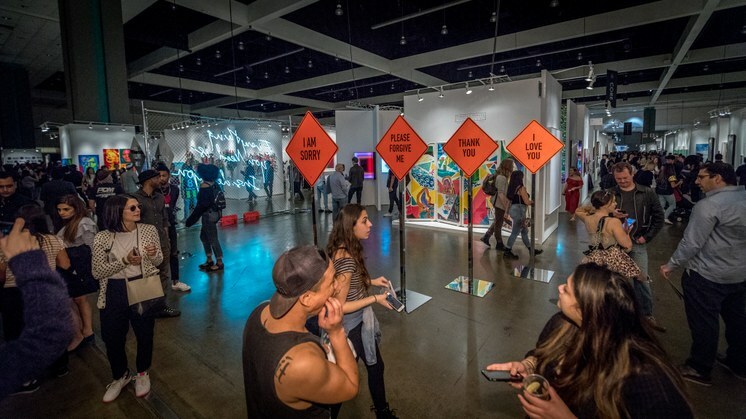 Art Contemporary Los Angeles is “also contemporary art, slightly smaller of an art fair but also considered kind of a hipper... it's one of the cool kids of the art fairs,” says Vankin. Art collector Dean Valentine launches his own art fair during Art Los Angeles Contemporary and the debut Frieze Los Angeles. The fair was co-founded with Al and Mills Morán. “Startup Art Fair is for emerging and unrepresented artists that aren't with galleries and that's a fun fair that's in a Venice hotel,” says Vankin.